Olubukunola Bekes is described to be an exceptional Singer who hails from a music family. she has been a chorister from her early age. she came from a humble beginning; she was born in Lagos State, Nigeria. On many occassion she has led RCCG Mass choir. 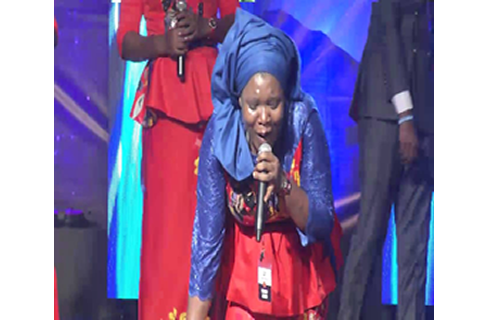 God as helped her to composed most of the theme songs for Redeemed Special Holy Ghost Services, Conventions and Holy Ghost Congresses. She is one of the Praise and Worship Leader of the City of David Parish, Lagos.She is a Composer, Writer, Praise and Worship leader and a consummated singer whose stage performance captivate her audience. She has also ministered at the Festival of Life, one of the biggest all night programme held at the Excel Centre London United Kingdom,She has a Band called “Olubukunola Bekes & The Paradise Minstrel” and God has been using them for His glory.